What made Golden Globes voters choose Bohemian Rhapsody over frontrunner A Star Is Born for its top prize? Occam may have his razor. But when it comes to the Golden Globes, the simplest explanation isn't always the most correct. Who knows what mysteries lurk in the hearts of the 90 men and women that compose the Hollywood Foreign Press Association, the loose consortium of Los Angeles-based international journalists who select all Globes winners? And who knows, then, how Bohemian Rhapsody pulled off a stunner Sunday night in Beverly Hills? 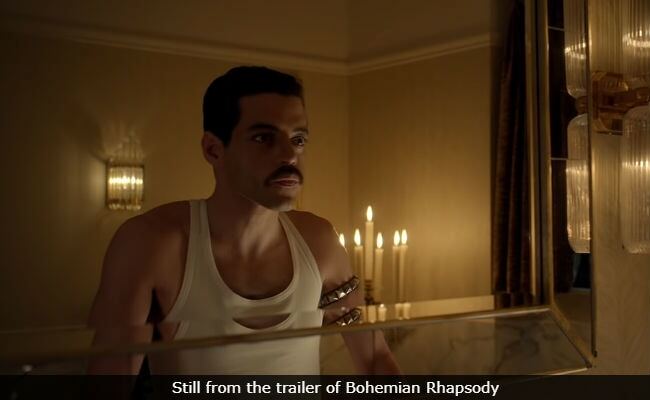 Coming into the weekend, the Freddie Mercury biopic had the longest odds of all best motion picture-drama nominees, according to bookmakers - 21:1, per one such establishment. Few awards pundits thought it had a shot. And yet it walked away with the night's top prize. It beat out every other choice, including the favored A Star Is Born. Certainly some explanations were called for, and in the air. There's the HFPA's supposed contrarianism, the idea that the Golden Globes don't like following the choices of other award telecasts. It's why six of the last seven TV shows to win best comedy are first-year series, most of which hadn't won a big prize before. There's the 'good-screening' hypothesis-a point made by those who worked on the film, who noted that many of the HFPA members saw the film with general audiences. The movie is best experienced with a large crowd, so there may be something to that. There's also the music theory-that, given a choice, the HFPA will always go for a music-based film. Of course it doesn't explain why the group didn't choose Mary Poppins Returns, a musical, in the comedy/musical category. Plus A Star Is Born has, you know, a couple songs in it, too. Then there's this. An old Globes saw has it that when a European- or British-flavored movie goes up against an American movie, the European-flavored movie usually wins. This theory isn't without precedent. There was 2008, when Atonement edged out favorite No Country For Old Men for Best Picture-Drama ("No Country went on to win the Oscar), or a few years later, when Les Miserables beat out Silver Linings Playbook for Best Comedy/Musical. The theory explains, inasmuch as anything does, why Les Miz won a big prize. This hypothesis is supported by membership numbers: More than 20 percent of HFPA members come from either England, France or Germany. That's certainly enough to swing a vote to a British-based pic like Bohemian, if one assumes members go for stuff that reminds them of their home country. Still, that's a big assumption. So what else could explain how a movie not really regarded by pundits as a Globes frontrunner and not really in line with the HFPA's recent choices for best picture-drama-they've gone for more traditional awards fare such as Moonlight, Boyhood and 12 Years A Slave - made the grade? It turns out there's another British element the HFPA often sparks to. And like that Under Pressure riff, it's hiding in plain sight: Bohemian Rhapsody producer Graham King. If you're not in the film business, you may not know King. A longtime top-tier producer, the 57-year-old has been making prominent movies for years. King has worked with Johnny Depp and Martin Scorsese, with Ben Affleck and Angelina Jolie. Bohemian Rhapsody has been his baby for a long time-this journalist talked about it with him seven years ago. And he was deep into it then. And the HFPA really likes King. Some major wins and upsets, it turns out, have involved films made by the British-born producer. In 2005, The Aviator beat out eventual Oscar Best Picture winner Million Dollar Baby at the Globes for best picture-drama. The Aviator was produced by King. Scorsese was historically oh-for-four in best director nominations at the Globes, striking out with classics like Raging Bull, Goodfellas, The Age of Innocence and Casino. But he won for The Gangs of New York, the first movie of his on which King worked. Scorsese then won again for The Departed, which was produced by King. And then he won for Hugo, which was produced by-you guessed it - King. It's hard to quantify which HFPA members have relationships with which film-business figures. But the King connection is there. The HFPA member John Hiscock hasn't written many pieces this season for the Web site Film Journal. But he published this long and admiring (and rather interesting) interview with King on the occasion of Bohemian Rhapsody's release. HFPA members have traditionally close relationships with many in Hollywood (Harvey Weinstein, to name one). But certainly the history with King's movies and the HFPA didn't hurt Bohemian Rhapsody. And they may have helped it tremendously. What viewers of Sunday night's Globes witnessed was a crazy moment, and a rare one at that. For all the talk of Globes' nuttiness, in recent years, the HFPA has been relatively conventional, even respectable, in its choices. Half of the winners in best picture-drama in the past six years went on to win best picture at the Oscars. In fact, before Bohemian Rhapsody's win for best drama, you have to go back a number of years to find the last major jaw-dropper. It came in 2011, when the much-maligned Euro spy dramedy The Tourist was nominated for best picture-comedy/musical as well as several lead acting awards. The producer of The Tourist? Graham King.